2 columns, right sidebar, space for ads, footer columns, slideshow, twitter support, posts thumbnails, tabs and drop down menu. 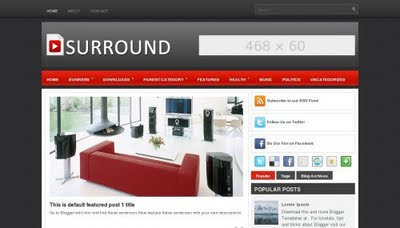 Download Surround for free in Now. Rating 3.4 out of 5 based.